Over the last 15 years meeting with companies large and small, I’ve seen my fair share of marketing pitfalls. I’ve boiled down the 7 most common – and totally avoidable –mistakes I come across. You don’t do any marketing at all. “We don’t need to advertise. Everyone knows we’re here.” It might feel that way, but it is a false sense of security because people are moving in and out of the market all the time, and people are moving in and out of the market for your products and services all the time. An effective marketing campaign helps you attract new customers, and switch customers from the competition. Not designing a marketing budget. This is the most common marketing pitfall I see. You don’t allocate (and stick to) a set dollar amount for the year. You do whatever comes your way and you buy on emotion rather than data. This strategy – or lack of it – can cost you more and is often less effective than a well thought out plan. Haphazardly designing a marketing budget. You advertise sporadically; maybe during your busy season or just a few times each year. The problem is, only a small segment of the market is in the market for your products and services at any given time. When you advertise steadily, you ensure you reach your potential customers in many stages of the buying process: when they’ve first identified a problem, next when they’re searching for information, then while they’re looking at options, and lastly when they’re ready to pull the trigger. If you’re not talking to your potential customers during each phase, chances are your competitors are and you could be missing out on business. Only advertising when you have a sale. When you do this, you train your customers to only come to you when you’ve lowered prices. Competing on price alone is a race to the bottom. And price is not as important as you might think. According to The CMO Survey August 2017, price is not the first, second or even third most important thing to consumers. The top priority for customers over the next 12 months is superior product quality (27%) – followed by excellent service (22%), a trusting relationship (19%), a low price (17%), and superior innovation (15%). You or your partners or your boss expect a flood of calls and traffic immediately after launching your marketing campaign. But marketing is a marathon, not a sprint. It is said that a customer must see an ad seven times before they’ll remember it. The more people are exposed to something, the more likely they are to take note of it and develop a preference for it. In Robert Cialdini’s book, Influence: The Psychology of Persuasion, he explained that we like things that are familiar to us, and one of the best ways to induce familiarity, subconsciously, is through repetition. It can be difficult to know what’s working, especially in the case of traditional marketing – for example, TV, radio, billboards, print ads and sponsorships which are great for general awareness but hard or impossible to measure. With digital marketing like social media, SEM, geofencing, sponsored content and targeted email, you’re able to track, measure and optimize your marketing efforts by setting up goals in your Google Analytics. You’ll have all sorts of data, like how many people called your office, engaged with your posts, opened your email, saw your ad, read your article, went to your website, and filled out an online form. And, you’re able to target only the people you want. 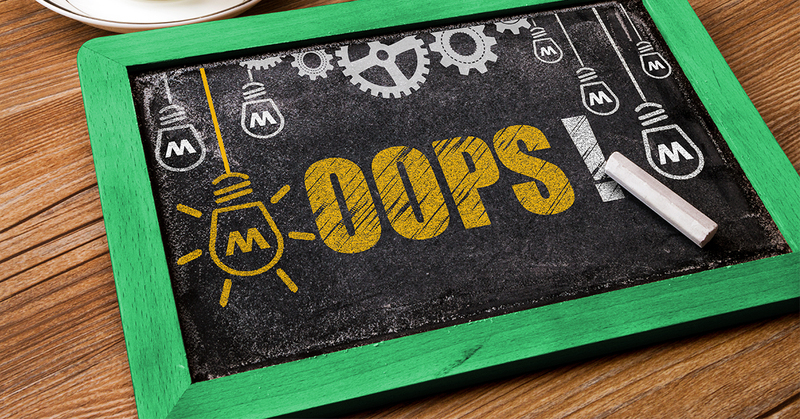 If your company is like most, you’ve made some of these marketing mistakes. But worry not: “The cost of being wrong is less than the cost of doing nothing” (a quote I love by marketing guru Seth Godin) It’s never too late to rev up the engine on your marketing efforts and take your company to the next level.